From social media to emails, podcasts to presentations—technology affects every facet of our lives at work. And it’s changing every day. Dell’s new XPS 13 is thin and light with an innovative top mounted HD webcam and has up to 21 hours of battery life. The XPS 13 is a beautiful and powerful product that helps powerful women get the job done. CES 2019 was a hit and we were so happy to see so many of our Create & Cultivators there. 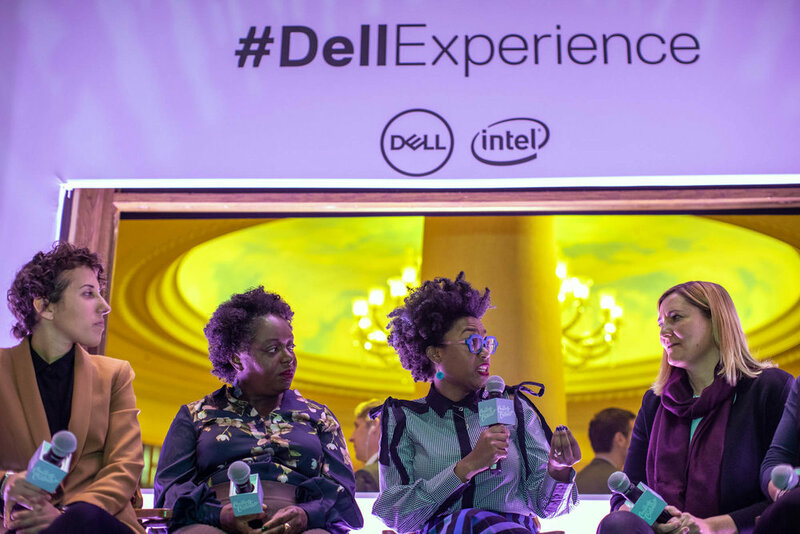 This was our first time at the event and we’re so grateful to have had the opportunity to partner with Dell, who has been a real champion of women in the tech space. Same time next year? Sounds like a great plan to us! This post is sponsored by Dell.